North Wales is a land of stunning coastal scenes, brooding castles and outdoor adventures. It’s also rich in historic attractions, culture and fine local foods, yet it’s still an unsung destination. This means fewer crowds for you. 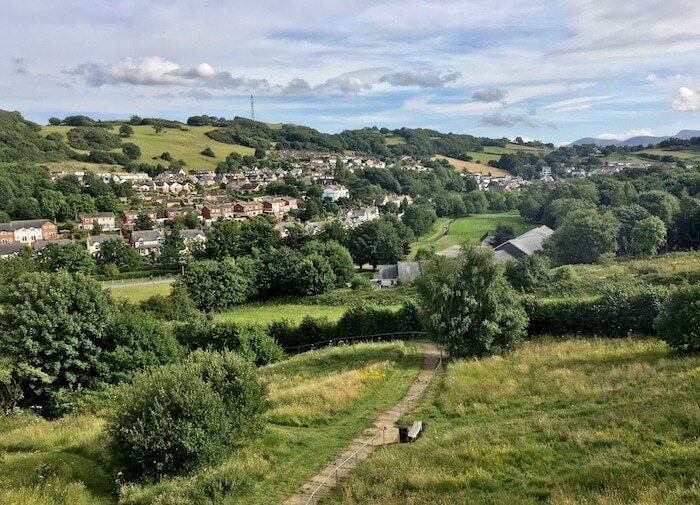 To help you plan the perfect trip, here are some of the best things to do in North Wales, along with a North Wales itinerary you can follow. North Wales is small. You could cross the whole thing in two hours, but why would you want to? Located in (obviously) the northern part of Wales, it’s quicker to get here from England than many people realize – about a two-hour train journey from Manchester to Conwy or Llandudno. I started out in Conwy and traveled west, then did a bit of a loop and went east back to Llandudno for my final stop. 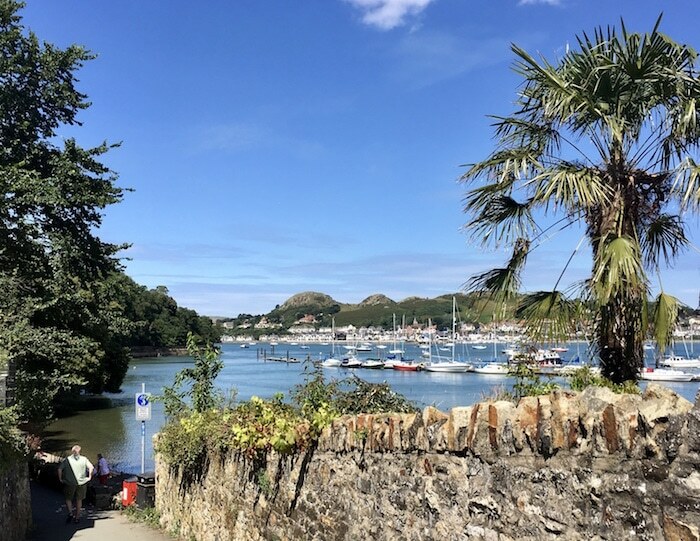 Some of the highlights of my trip included seeing the coastal town of Caernarfon with its looming castle, staying at the fantastical village of Portmeirion and going down the fastest zip line in the world. The activities and sights I list are in the order I did them, which means this is a North Wales itinerary you can easily follow. Or, you can mix and match these top Welsh attractions to create your own fab itinerary. North Wales is the outdoor adventure capital of Britain. Adrenalin seekers can try coasteering, whiz down the fastest zip line in the world, surf, cycle or try dry slope skiing. With the longest continuous coastal path in existence, it’s easy to add hiking to any North Wales itinerary. Other great things to do in North Wales include visiting the enchanted isle of Bardsey, or checking out the English King Edward I’s Iron Ring of Castles, glowering fortresses built to suppress the unruly Welsh in the 13th century. Finally, you can sample the best of Welsh produce, from artisanal cheeses to craft beer and Welsh whisky. No wonder Lonely Planet named North Wales one of the top 10 destinations for travelers. While it’s easy to reach North Wales by train, it’s hard to get around to all the sights you want to see without your own transportation, so renting a car is your best bet. Is that a palm tree? Located on the coast of North Wales, Conwy is a walkable town and an easy direct train ride from Manchester. 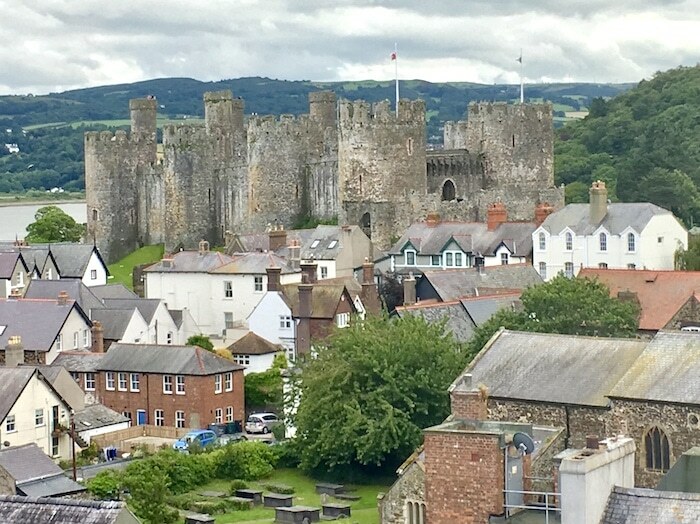 You can walk the battlements of the 13th-century Conwy Castle, a UNESCO World Heritage Site; visit Elizabethan town houses, stroll the medieval cobbled streets or see the smallest house in Britain down on Conwy’s scenic quay. Read Things to do in Conwy article, or read the fascinating history of Conwy Castle. Right in the centre of Conwy is the Castle Hotel, a centuries-old coaching inn in Wales, where William Wordsworth, Samuel Johnson, Charlotte Bronte and the Queen of Romania all stayed before you. There are plenty of cozy sitting rooms if you want to stop in for tea, and it’s a good place for dinner as the menu emphasizes local Welsh food. Inland surfing? Yes, it’s a thing. 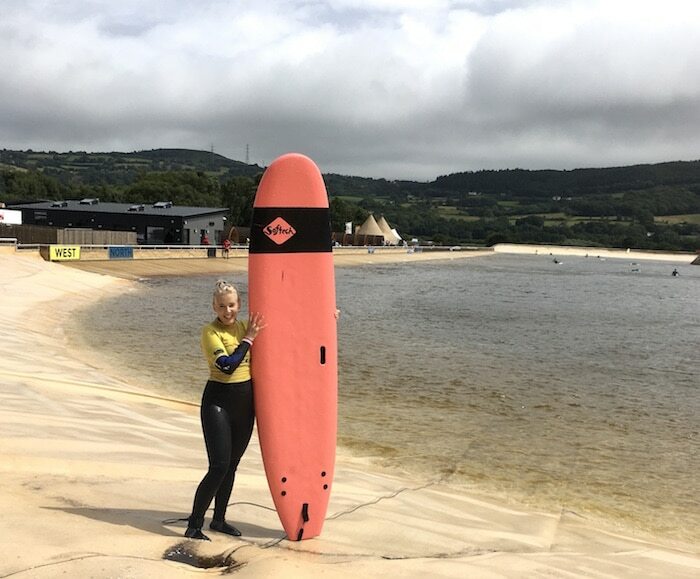 And you can take a surfing lesson at Surf Snowdonia Adventure Park in Dolgarrog in the Conwy Valley. I gave the waves a try and let’s just say I won’t be entering any surf contests soon. Still, it’s a fun way to experience the only artificial inland surf lagoon in the UK. The spotlight shines on Wales’ growing reputation as a country of passionate producers and fervent foodies at the Bodnant Welsh Food Centre. Set in the heart of the Conwy Valley and surrounded by the stunning scenery of Snowdonia, Bodnant’s award-winning Welsh Food Centre reopens with new owners in February 2019. If homemade pies, local cheeses and meats are on your horizon, this could be a good stop for you. Anglesey is a large island off the northwest coast of Wales, and is a land unto itself. 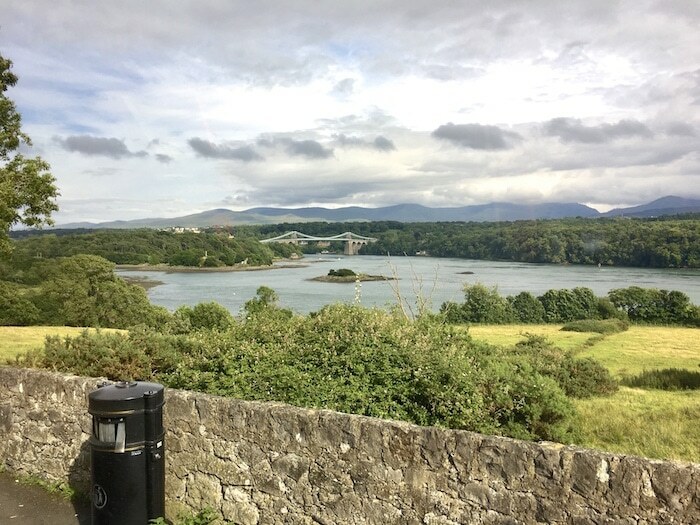 It’s accessed by two bridges, the Menai Suspension Bridge and the Britannia Bridge, and once you’re here you’ll find picturesque towns, cycling paths and miles of coastline, much of which has been declared an Area of Outstanding Beauty. Did you know? Prince William and Kate’s first home was on Anglesey, where they lived in a five-bedroom cottage. Anglesey is a jump-off point for an adrenalin-inducing Rib Ride, a high speed ‘rigid inflatable boat’ trip on the Menai Strait, a shallow stretch of water that separates the Isle of Anglesey from the Welsh mainland. This is a fast and furious guide to the natural history of Anglesey with scenic views of the islands, hidden coastlines and the high cliffs of the north Anglesey coast. Anglesey Boat Trips has a few different boat tours to choose from. The town’s claim to fame is its name. (Hey, that rhymes. Dylan Thomas watch out.) Visit the town of Llanfairpwllgwyngyllgogerychwyrndrobwllllantysiliogogogoch, just so you can practice saying it. And good luck with that. Llanfairpwllgwyngyllgogerychwyrndrobwllllantysiliogogogoch is a Welsh word that translates roughly as St Mary’s Church in the Hollow of the White Hazel near a Rapid Whirlpool and the Church of St. Tysilio near the Red Cave. And here I thought my hometown of Saskatoon, Saskatchewan, Canada was hard to say. The town of Beaumaris sits at the eastern entrance to the Menai Strait on Anglesey. History buffs can stay at a 400-year old hotel, Ye Old Bull’s Head Inn, which was built in 1472. In 1648 it was the headquarters for General Thomas Mytton during the siege of Beaumaris in the English Civil War. Even Charles Darwin has stayed here. Don’t you hate when you run out of money while building a castle? That’s what happened to English monarch Edward I, who constructed the mighty Iron Ring of Castles in North Wales to subdue the independently-minded Welsh citizens. 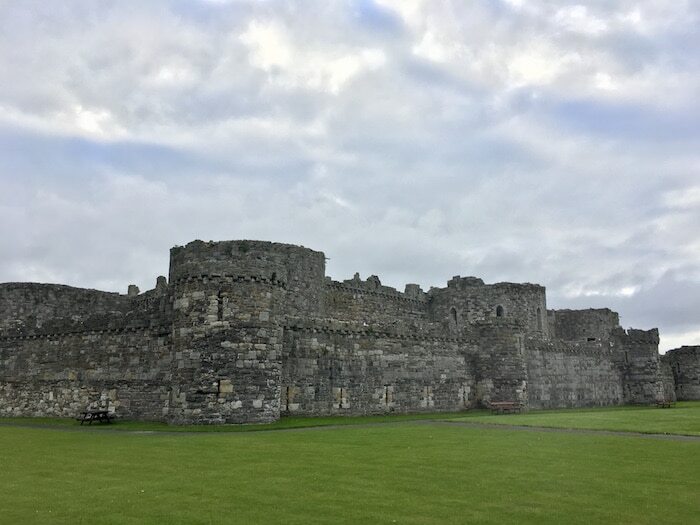 Nonetheless, Beaumaris Castle is considered by many as the finest of all the castles of the Edwardian era, with its symmetrical lines and nearly impenetrable walls within walls. Originating in Wales, the crazy sport of coasteering is a mix of rock hopping, shore scrambling, swimming, cave exploring and cliff leaping as you make your way along the craggy coast of North Wales. Every trip is different depending on temperature, wind and time of day, and Snowdonia Watersports uses various locations in Anglesey and the Llŷn Peninsula. Suitable for families, it’s a unique way to see the coastline and one of the most unique things to do in North Wales. Experience isn’t necessary but a sense of adventure is. This quiet coastal region of Newborough Forest and National Nature Reserve has sand dunes, forest walks, a beach and a very sacred island called Llanddwyn. And you can see it all on an easy walk. Located just south of the village of Newborough, Newborough Forest is at the southernmost corner of Anglesey Island. For me the highlight was Llanddwyn Island, home of St Dwynwen, the female Welsh version of St Valentine. In the fifth century, St Dwynwen, the Welsh patron saint of friendship and love, founded a convent on the island and her tale is a sad one. An island walk takes you past the ruins of the convent, ancient lighthouses and a free museum. While Llanddwyn is easy to walk to from the mainland. In fact it only really becomes an island at high tide, when it’s inaccessible to walkers. Read more about the tragic tale of St Dwynwen of Llanddwyn Island. Portmeirion is hard to explain. It shot to popularity as ‘the Village’ in the British 1960s cult TV series The Prisoner, and while it looks as though it was designed by some mad city planners who decided to plunk an Italian town on the northwest edge of Wales, it was actually the creation of a single architect, Sir Clough Williams-Ellis. A man with a vision, he acquired this remote promontory in North Wales in 1925 but didn’t complete his dream project until 1975 when he was in his nineties. 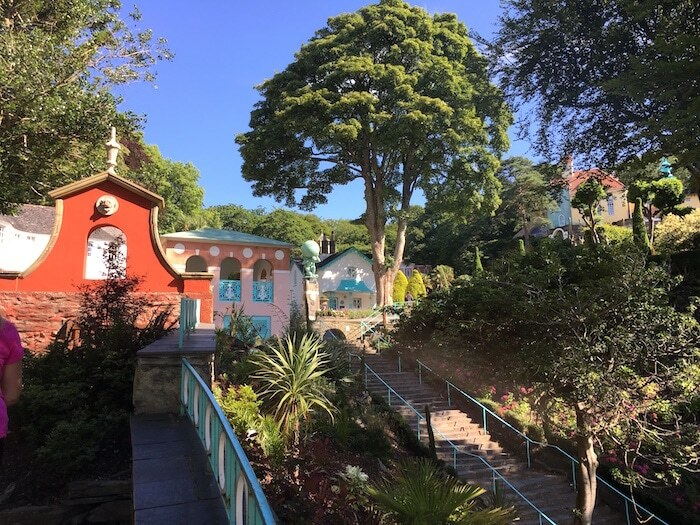 Today Portmeirion Village, which isn’t really a village at all since no one actually lives here, is a blast to visit and has been a celebrity hideout over the years. 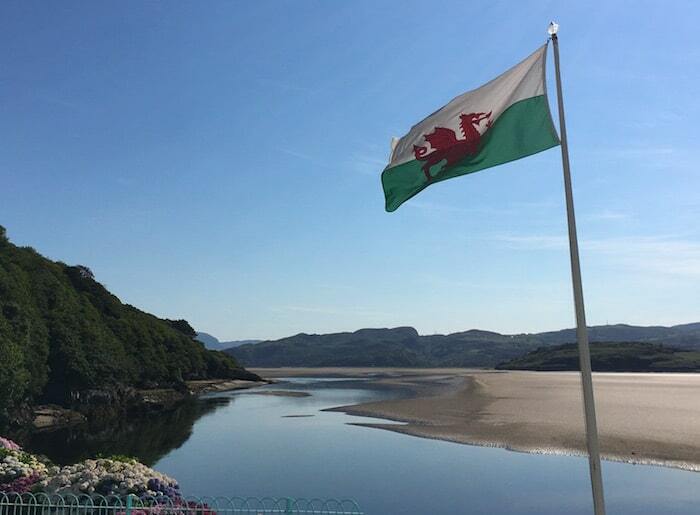 Overlooking the estuary of the River Dwyryd, this fascinating faux village offers scenic views over the water to the mountains of Snowdonia, and has shops, restaurants and gardens to explore. It offers a wide range of accommodation including vacation cottages, self-catering apartments, a luxury hotel and a castle. Yes, a castle. That’s where I stayed. With the Irish Sea on one side and Cardigan Bay on the other, the Llŷn Peninsula is an unspoiled haven of nature and is seeped in history. Hikers can explore the 84 kilometres of the Wales Coast Path that run around its edges. Wakeboarders are drawn to the hot spot of Abersoch. The ancient pilgrimage site of Bardsey Island, at the Llŷn Peninsula’s tip, has been attracting pilgrims since the sixth century when St Cadfan established a monastery here. Also on the Llŷn Peninsula, Criccieth Castle, built on a rocky promontory that juts out into Tremadog Bay, has a stormy past. Built by the Welsh prince Llywelyn the Great, it was later taken by Edward I, then burnt to the ground by the Welsh rebel Owain Glyn Dŵr, leaving only the romantic ruins you see today. For expansive sea views and authentic Welsh food, grab a hearty Welsh lamb stew or dish of Menai mussels in the glass-fronted Art Deco building that houses Dylans restaurant in the seaside town of Criccieth. 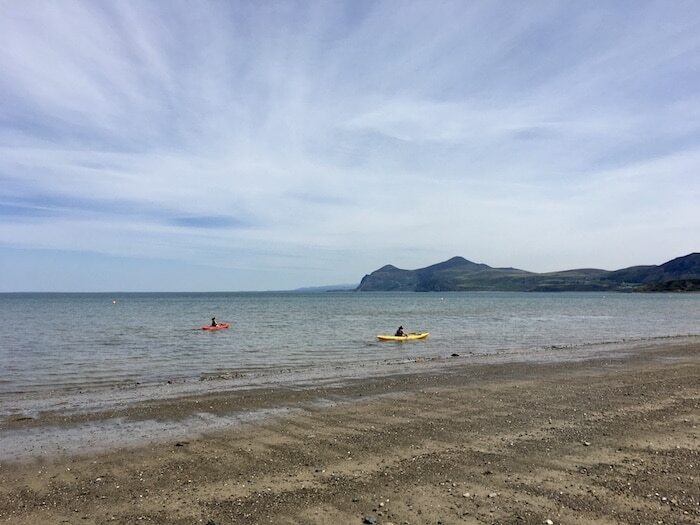 Llyn Cycle Hire is located in the fishing village of Aberdaron, almost at the tip of the Llŷn Peninsula, and renting a bike is an active way to explore the beaches and seaside villages. Did you know? Prince Phillip and Camilla have been spotted in Aberdaron, and visit Wales every year. Oh, wait. 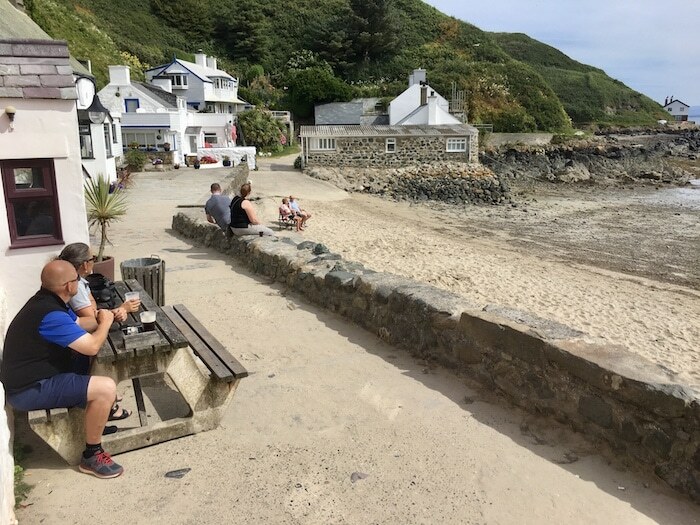 He IS the Prince of Wales..
For a room with soothing views Gwesty Ty Newydd, is a four-star inn that overlooks the expansive bay and beach of Aberdaron. 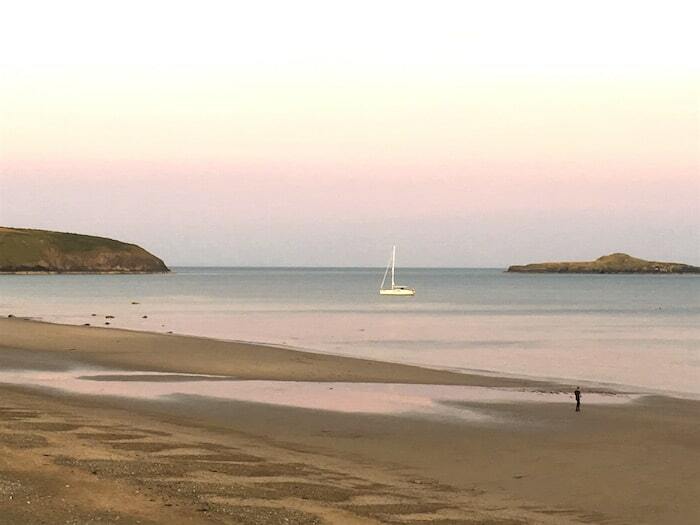 Watching the sunset from the terrace while dining on freshly-caught Aberdaron lobster and crab is an event in itself. Gwesty Ty Newydd, Aberdaron, Pwllheli, Gwynedd LL53 8BE. Near Aberdaron is Porth Medwy where you can catch a Bardsey Boat trip to Bardsey Island (Ynys Enlli). Known as the Island of 20,000 Saints, Bardsey lies just off the Llŷn Peninsula. Populated by sheep, seals and graves, but home to only a reported six living humans, it is the burial place for some 20,000 holy confessors and martyrs, and was long considered one of the holiest places in Britain. Sadly, due to high winds, we had to cancel our trip. I was so disappointed as it was one of my top picks for places to visit in North Wales. I hope you have better luck. The tiny fishing village of Porthdinllaen is home to the Llŷn Maritime Museum. The museum, which was awarded a ‘Hidden Gem’ distinction by Visit Wales, tells the story of the peninsula’s often rocky relationship with the sea. The village is also an ideal base for hiking because it’s midway along Llŷn’s north coast path. Take a coastal walk to the pub at the Ty Coch Inn, voted one of the top ten beach bars in the world. With views across the Irish Sea to The Rivals mountains and a beach on its doorstep it’s a good place to talk to the locals, kick back and soak up the quiet pace of North Wales. Note: You have to walk across the beach to get to the pub – there is no direct vehicular traffic. 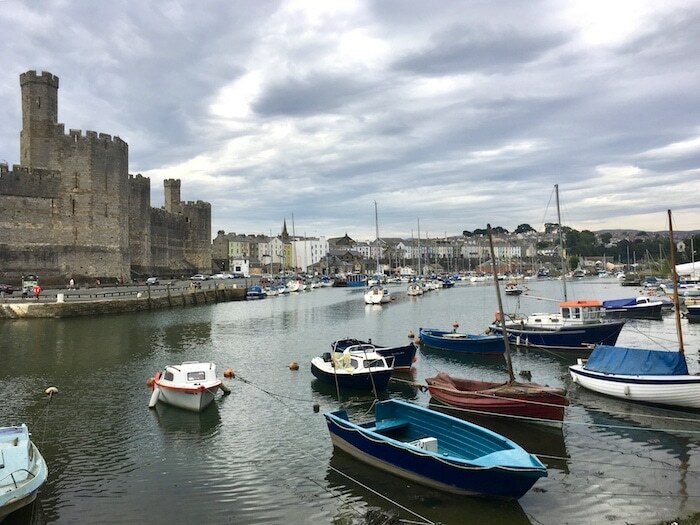 The picturesque town of Caernarfon, one of my favourite places to visit in North Wales, lies across the Menai Strait from the Isle of Anglesey. The castle, another of Edward I’s Iron Ring of Castles, is spectacular, a UNESCO World Heritage Site, and the town’s cobblestone streets are a delight to wander in. It’s not just about history. Sitting in a waterfront pub at twilight while local musicians played traditional music is a treasured moment of my trip to Wales. 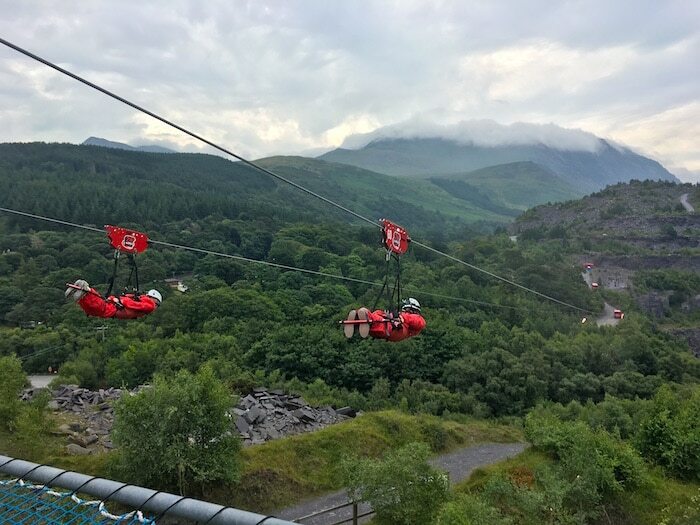 Zip World Penrhyn Quarry in Bethesda is the speediest zip line in the world. It’s also the longest in Europe and if you ever wanted to impersonate an eagle, this is the adventure for you. 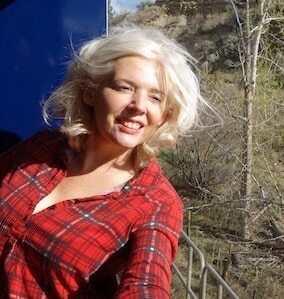 I didn’t find it scary, but those with a fear of heights should pause for thought. On your ride you can look across the sea towards Anglesey, fly over a startlingly blue quarry lake and reach speeds in excess of 100mph. Read about my outdoor adventure on the world’s fastest zipline. Yes, another castle. (Can you ever get enough?) But this one is different. This is a fancy castle, a 19th-century country house built to look like a Norman castle. Located in Llandgai, this neo-Norman fantasy is crammed with unique carvings, handmade wallpaper and paintings. Celebrity note: Damon Albarn, singer-songwriter from the former mega Britpop band Blur, has recorded at Penrhyn Castle, and says it gave him a new appreciation of Wales. Maybe it will give you one, too. It may be the most famous town in North Wales. The Victorian beauty of Llandudno, also called the Queen of the Welsh Resorts, has some of the most elegant seaside architecture in Britain. Strolling its lively pier is one of the most popular things to do in North Wales. In summer it attracts a ton of tourists, which would probably drive me crazy, but I was there in the rain and there was barely a soul in sight. Voted the third best tourism destination in the UK by TripAdvisor (after London and Edinburgh!) 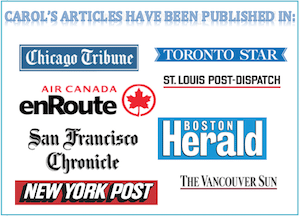 in 2015, it’s a tourist town times ten with a feeling of days gone by. 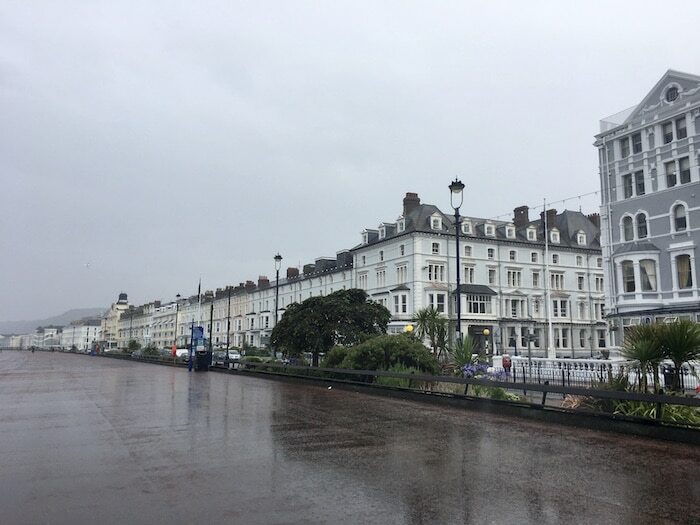 We stayed on the seafront at the four-star St George’s Hotel at The Promenade, Llandudno, LL30 2LG. Before your North Wales itinerary winds down, take the opportunity to try some locally-caught seafood at the Seahorse Restaurant at 7 Church Walks, Llandudno, LL30 2HD. In case winter isn’t long enough, the Llandudno Ski and Snowboard Centre has a PermaSnow ski slope and the longest toboggan run in Britain. For one last adventure in North Wales you can try skiing, snowboarding, toboggan or snow tubing on a dry slope no matter what time of year. There are so many great things to do in North Wales and these are only a few of them. Extreme adventurers can climb Mount Snowdonia, the tallest mountain in England and Wales. You can ride scenic railways, visit Iron Age settlements or watch harbour porpoises at Bull Bay. There are fairy glens to explore, puffins to see and bluebell-strewn woodlands to walk through in this fascinating corner of Britain. My North Wales itinerary was organized by VisitWales or VisitBritain. All opinions and misadventures are my own.